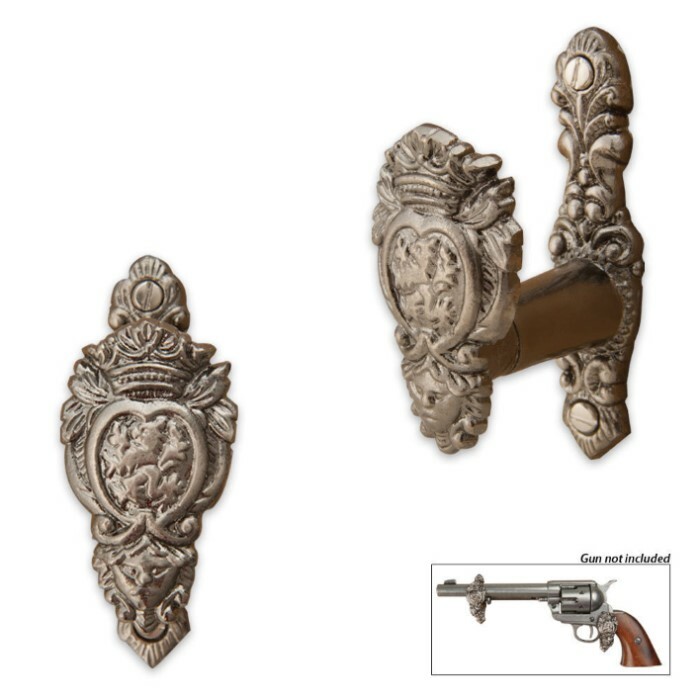 3 Inch Rampant Lion Heraldic Sword Hangers | BUDK.com - Knives & Swords At The Lowest Prices! Display your sword, dagger or long gun with this one-of-a-kind pair of heraldic wall hooks. Each hook has been meticulously cast of metal and then given an antiqued finish. You'll feel like royalty with your swords hung up with this unique pair. Includes hanging hardware.